It happens so often it’s almost like clockwork. Most blogs are started with high hopes and then disillusion sets in when the results aren’t what they hoped for. A lot of it has to do with these simple but common mistakes. Put a lot of thought into your blog. Don’t just jump into it. You need to figure out where you want your blog to go before you do anything. Like any website you may want to build, think of your blog as a long term marketing communication channel. A Blogspot or TypePad URL is not only unprofessional, you don’t own it. I don’t have anything against these blogging platforms, they’re excellent tools but for long term marketing purposes, go for your own domain. This way you control where you want to publish the blog to. In the future, if you outgrow these platforms, you can easily export your blog to another platform or another host without losing too much established traffic. A domain is also easier for people to remember and easier for you to promote. Many people quit blogging because they feel it’s too much work. While that’s true, like everything else, you have to work on a blog but you don’t have to break your back doing it. Sometimes you may have a paragraph here and there about a topic that just isn’t big enough for an article. Guess what? You’re going to have many more of these impromptu thoughts and ideas – just publish it to your blog. Later, you can come back and gather these paragraphs, compile them into a complete article or even an ebook. That’s only one way of maximizing your work. Have you written articles in the past? What about e-courses, audio transcripts or books that aren’t in publication anymore? Recycle them. Break them up and post them on your blog. In fact, if you have a lot of this type of content, you can even get an assistant to post them for you. I bet I know what you’re thinking? This sounds like the complete opposite to everything you’ve ever learnt about blogging. The truth is, the blogging world changes all the time. What worked yesterday, may not today. And this is one of them. There are countless blogs already jostling with you for your reader’s time. And more are being started by the day. Who has the time to read so many blogs? It’s come to a point where people are forced to pick and choose which blogs they read. Even when they do read yours, you’re not safe yet. If they can’t keep up with your blogging pace, they’ll drop you no matter how good your information is. Keep a balance. Feed information to your readers slowly, do not dump a truckload on them. Every market is different. Some can tolerate a higher number of posts a week, and some can’t. You should know your market and test accordingly. Bloggers always agonize over the lack of comments. But the problem is not that people don’t read their blog or don’t want to comment, but the blogger hasn’t given readers the opportunity to comment. Just like asking for people to order a product, you’ve got to encourage people to spend their 4 or 5 precious minutes to comment on your blog. Ask for opinions. People love giving it. Ask readers to share their experiences, or to have their input or help to accomplish something. Ask people to suggest something to you e.g. it you’re starting a competition, ask people for suggestions, tips and recommendations. Asking also tells people you’re open to suggestions and alternative views, further improving the image people may have of you. 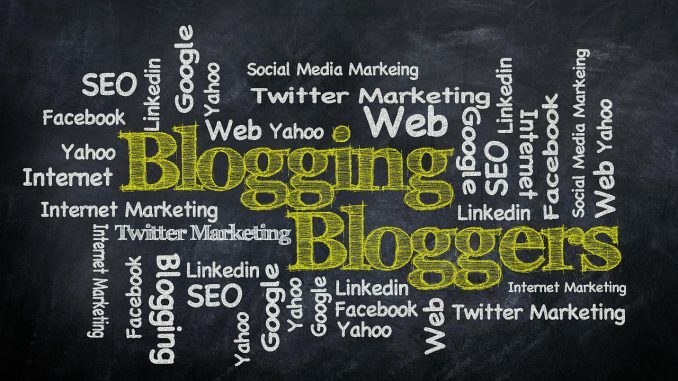 Every week, you hear about people dishing out the newest, coolest blogging tactic, best blogging tool that’s sure to sky rocket your business to success or “bull doze” your way to the top of the search engine listings. Consider how any offer will help you advance your business in two, five or ten years time. Is it really in line with your marketing strategy? If it isn’t drop it. It also helps a lot if you can have a reliable source you can consult and help put things into perspective for you. One of the most powerful qualities of a blog is the relationship opportunities between you and your audience. Trust me, it has nothing to do with search engines, tagging or pinging. These things do have a place, but they aren’t as powerful as relationships with your audience. Although these mistakes are common, they are also very easily rectified and don’t cost much to fix. If you enjoyed this article please feel free to share socially or leave a comment below. these are interesting insights. I am very cynical about whether I can actually get high-quality content by hiring writers. If they’re any good, why aren’t they working for themselves? That’s what holds me back. Do you know anyone who’s truly happy with their work? great work thanks for sharing such informative article. Great article, things I have not considered or thought of as far as blogging goes like not enough content for a post, but coming back to all those little bits and compiling a worthwhile blogg with the bits put together, great, Thank you for a worthwile read. These are interesting insights. I am very cynical about whether I can actually get high quality content by hiring writers. If they’re any good, why aren’t they working for themselves? That’s what holds me back. Do you know anyone who’s truly happy with their work? Gaylene, I love your one on publishing too often. Some new bloggers think they need to post daily but when you sign up for their email or RSS feed you get bombarded with messages and I find it hard to keep up reading them. I tend to unsubscribe from their newsletters. I fall into the not maximizing my 500 posts – thanks for the tip on that one! Excellent tips; the two which really struck a chord with me are those regarding comments and ‘short termism’. Creating a quality blog is not always easy, so ideas to avoid particular mistakes are always welcome. I agree that one should have a plan when he writes an article. This will improve the quality of the article. You have given valuable tips on how to maximize Blog Content.It is a good idea to publish short articles and work to improve them later. There are some writers who are only concern about the search engine and ranking but one should think about his audience. If you want your readers to keep coming back to your site, you have to ensure that the articles you publish are reader friendly and interesting. I really enjoyed your perspective on blogging. You are so right about what to do and what not to do, when and how much. I think too many people may jump in feet first, get really wet and then realize they aren’t really passionate about what they are doing after all! Time to re-think and re-structure. Thank you. You have given me more clarification. You’re so right about using your own domain! I made this mistake when I first started & it created problems down the track when my blog got popular. It only costs about $15 for a domain name and it’s a small, but very worthwhile investment in an online business. The first mistake you mentioned reminds me of a story I read from a prominent blogger. He knew someone who built a blog on a sub-domain which he was earning about $2,000 per month with. When the TOS was changed, he lost all that work over night! There really is no excuse not to buy your own domain name. Nice article, thank you Gaylene. You raise some interesting points, the one I like a lot and I have started using is asking for comments. I also have been thinking about just starting posts with ideas but haven’t had the drive to complete them. Trying to think of what to say etc.